It is an urban marvel, and a showcase of modern Japan. Yet, it retains the essence of its past, which is ingrained in the vast cityscape. Osaka, located on the main island of Honshu, roughly in the centre of Japan is the second smallest prefecture of the country. However, it is the second most populous prefecture after Tokyo. It also has a lot of non-Japanese residents. Osaka takes on a different mood, and displays a different form of expression during each season, making it tarvel worthy throughout the year. At the end of March, the cherry blossoms burst into bloom, welcoming spring. Summer in Osaka is hot and humid. Autumn is very colourful. Winter, between December and February is crisply cold. It could be said that Osaka has a relatively mild climate with four distinct seasons. Osaka has a bustling economy which makes it a central hub for many activities. 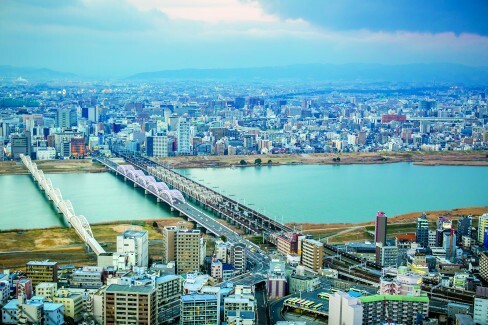 Moreover, it is located near famous neighbouring cities like Kyoto, Nara, Kobe and Wakayama. It’s architecture personifies the modern Japanese aesthetic. Elegant minimalism punctuated by relics of the past define the city. The vibrant city offers the best of Japanese food, culture and architecture. 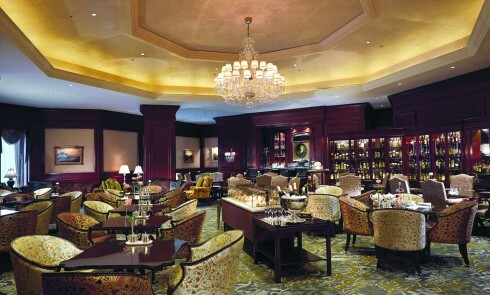 The Ritz-Carlton, Osaka is a luxurious five-star hotel in downtown Osaka. 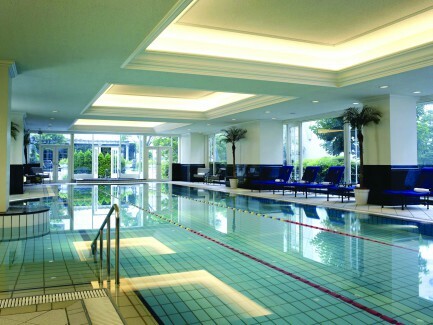 Its location in the prestigious Nishi-Umeda business and shopping district does add to its popularity. However, what is most striking is how the decor and the ethos of the entire space reflects the subtle melange between the ancient traditions and decor cues of Japan with its ultra-modern landscape. The rooms live up to the reputation of being a part of the most elegant hotel in town. Each room exudes sophisticated style and luxurious finishes. Clean lines mark the design and elements such as furnishings, colour and curated artefacts add a touch of glamour without any hint of excess. After all, this is Japan, and hence, while sophistication is highly appreciated, too much of anything spoils the show! The public areas of the hotel are much more opulent. A lot of wooden furniture adds a warm and cosy feel to the entire space. Bespoke lighting is used in right measure to create an inviting ambience. One often associates Japan with the cherry blossom flowers. The rich flora of the country is proudly expressed through varied artwork as well as floral arrangements throughout the space. 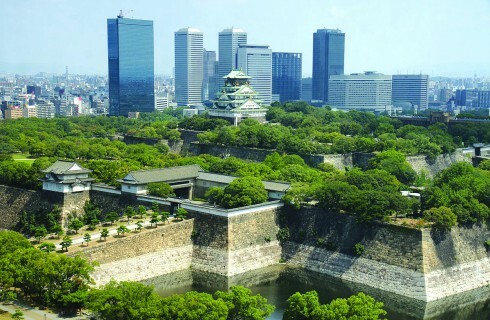 The Osaka Castle is a monument that opens windows to a past laden with rich history. Hideyoshi Toyotomi, a famous warlord, built Osaka Castle in 1583. In the wars that raged between the winter of 1614 and the summer of 1615, parts of the castle were destroyed. However, it now stands renovated, basking in glory. The eight towering levels are strategically built on a rock-face overlooking a picturesque moat. The castle tower is now entirely modern on the inside and even features an elevator for easier accessibility. It houses a museum that chronicles the castle’s history. Secondary citadels, gates, turrets, and moats surround the structure. Examples of fabulous art such as the gilded golden koi fish that sit on the wings of the roof, are another delight. The Nishinomaru Garden, encompassing the former “western citadel”, is a garden with 600 cherry trees, a tea house, the former Osaka Guest House and also provides excellent views of the castle tower from below. What is an urban cityscape without a high-rise to boast of? 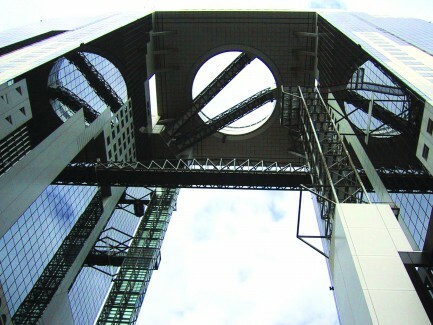 The Umeda Sky, with two 40-story towers, is the nineteenth-tallest building in Osaka. Needless to say, it remains one of the city’s most recognizable landmarks. 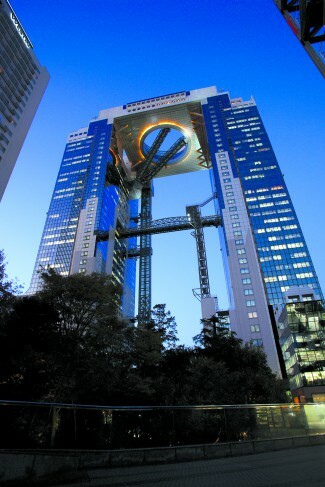 The two uppermost floors are connected to each other with bridges and an escalator, forming the “Floating Garden Observatory” on the 39th floor. The views from the observatory are great indeed, and many visitors go there for a 360-degree panoramic view. The 173-meter-tall building is thus a popular tourist spot. In the basement, it has a restaurant floor that replicates a town of the early Showa period, in the history of the Japanese culture. Offices occupy most other floors. A mention of Japan is incomplete without acknowledging the distinct contribution of shrines to the country’s architectural heritage. Osaka hosts the Sumiyoshi Taisha, one of Japan’s oldest shrines. It is said to be founded in the 3rd century. It displays a unique style of shrine architecture, called Sumiyoshi-zukuri style. For example, it has straight roofs, unlike later shrines which have curved roofs. It has the entrance under the gable and is surrounded by a fence. Sumiyoshi Taisha is the main and most famous of over two thousand Sumiyoshi shrines found across Japan. The Sumiyoshi shrines enshrine the ‘shinto gods’ who protect travellers, fishermen and sailors at sea. 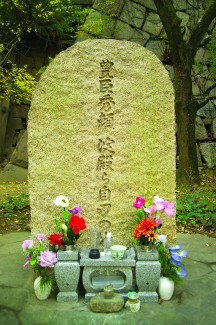 The shrines are therefore usually found close to harbours, which explains the location in Osaka, which is a bay area. 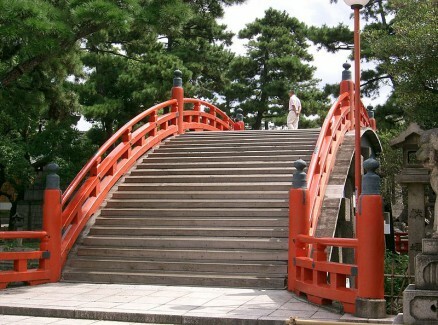 There is another attraction here, namely, the beautiful Sorihashi Bridge, which creates a uniquely high arch over a pond.